If you encounter any problem regarding the iBook Application (after JB 5.01) such as images/text not render properly. 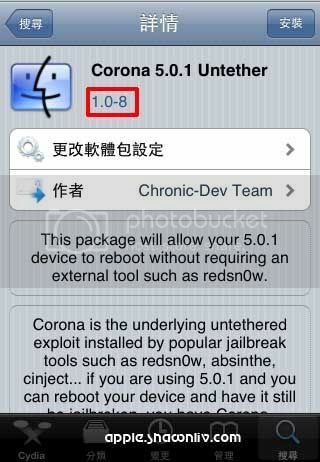 You may proceed to Cydia and search for Corona 5.0.1 Untether 1.0-8. In brief, this update fix the remaining iBooks issues that were effecting JB iOS devices running on iOS 5.0.1 firmware. 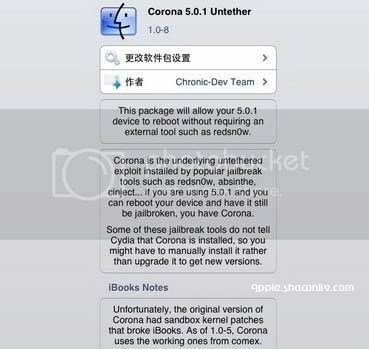 Corona 5.0.1 Untether 1.0-8 supports iPhone 4S, iPad 2, iPad 1G and iPhone 3GS and other A4 iOS devices jailbroken on 5.0 or 5.0.1 that using Redsn0w or Greenpois0n Absinthe.